Everyone's happy at Au Cheval. Photo courtesy of Au Cheval. CHICAGO – I can't count how many times I've been asked about Chicago celebrities. Who are they? Where do they hang out? Where do they shop? The answer is simple: We don't have celebrities; we have chefs. For a city that's used to being overlooked, Chicago is experiencing a Renaissance that's put it on the map as a destination rather than a layover. Having lived here for all of my adult life (and grown up in the Chicago suburbs), I think it's an obvious choice for a visit. Let me get this out of the way: Chicago is a cultural Mecca. We've got the , some of the country's finest architecture, and myriad immigrant communities. But I'm here to tell you about the food. Food is how Chicago defines itself — and how Chicagoans define themselves as a result. The city is bound by a love and appreciation for eating; the community is tightly knit and deeply rooted in authenticity. Most importantly, we're nice. We welcome newcomers — especially if they feed us well. I know you already know about our white-hot restaurants and superstar chefs: Grant Achatz and his flagship restaurant, , and Top Chef winner Stephanie Izard and . I'm focusing on smaller places tucked into neighborhoods delivering cuisine just as fine as fine dining. The Publican. 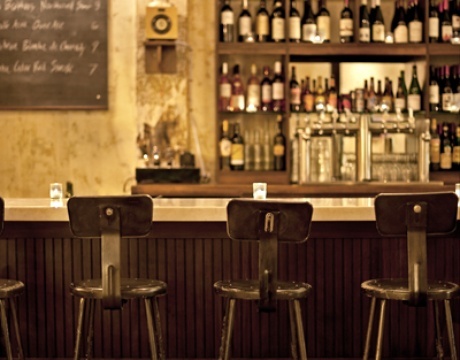 Photo courtesy of Grant Kessler/The Publican. Our Meatpacking District is the real deal: bloody, apron-clad workers moving pounds of meat and fish in the wee hours. By midday, all that's left is a faint animal smell. It's time to eat. Paul Kahan is a magician. His West Loop kitchens include , , and . 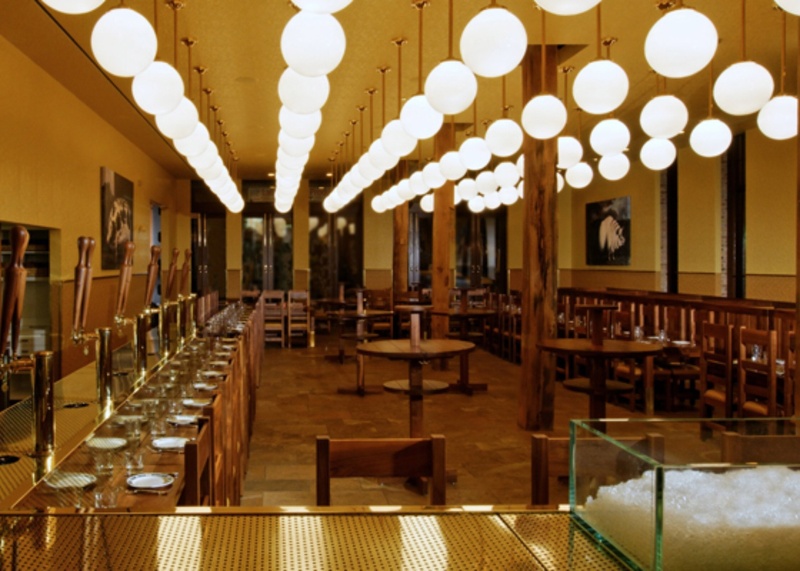 The Publican is your loud, meat-heavy, beer-hawking brasserie. Weekend brunch is killer; dinner is just as satisfying (the mussels and whole chicken are musts). Publican Quality Meats, a recent offshoot, is the Jewish deli dreams are made of: sandwiches as big as your head, butcher cases spilling with marbled flesh, and a full grocery stocked with chefs' picks. 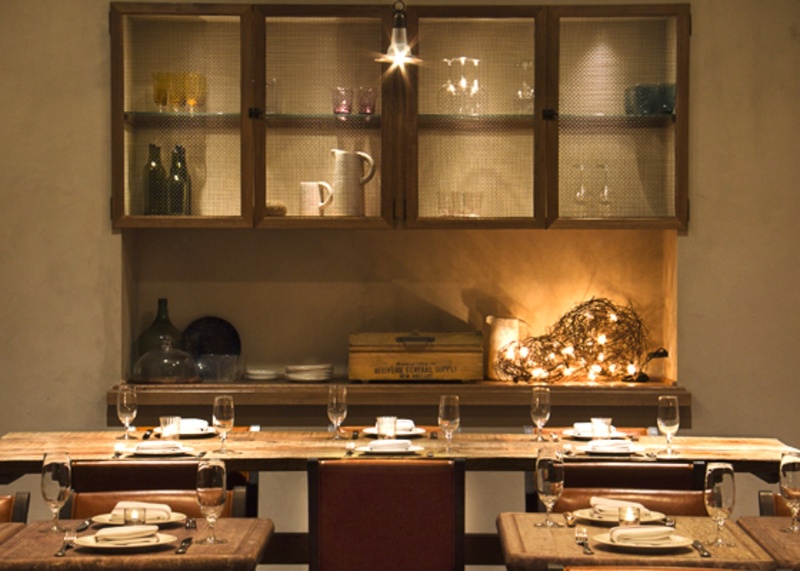 Don't leave the city without dinner at Avec. The tiny wooden box welcomes patrons who come for chorizo-stuffed dates, light-as-air brandade, taleggio flatbread, and wines from around the world. a dimly-lit, Parisian-style haunt, woos you with cocktails (try the chartreuse smash), then wins you over with velvety steak tartare, platters piled with fresh oysters and shrimp cocktail (best in the city), mussels, rich cassoulet, and the best crème brulee you'll ever eat. (from Maude's owner Brendan Sodikoff) was born to serve late-night burger lovers, pickleback-drinkers, and those brave enough to order the mile-high mille-feuille for a grand finale. Hipster-filled Wicker Park is home to Paul Kahan's . To call it a destination is an understatement; it's its own nation. If they offered beds, they'd be filled; it's hard to resist a whiskey bar that plays rare honky-tonk and serves some of the best tacos in town. Veggie lovers flock to for ethnic-inspired small plates. In Bucktown (the more yuppy 'hood that borders Wicker Park), don't miss , a BYO Koren-Puerto Rican fusion joint with counter service where nothing costs more than $10. 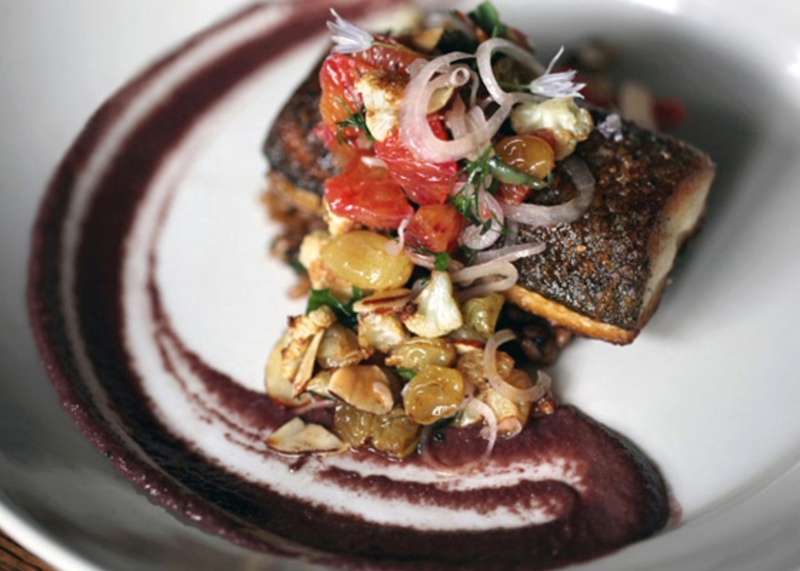 is a real gem: small plates, incredible pasta, and the best Basque cake in the world. The Bristol gang teamed up with BOKA Group for , a warmly-lit, always-packed Lincoln Park haunt that serves perfectly executed pastas, wood-fired pizzas (try the mortadella), and house-made gelato that dreams are made of. I'm lucky enough to call West Town my home — and my neighborhood restaurant. What I love most is how tiny it is. We have a lot of space in these parts; cozy restaurants are hard to come by. I never cease to be amazed by what comes out of Ruxbin's miniature kitchen: beets three ways with white anchovy and housemade ricotta; pork belly salad with grapefruit, cornbread, and blue cheese; crispy trout (Ruxbin is solely responsible for turning me on to the glories of fish skin); Amish chicken with stuffed pain perdu. Oh, and it's BYO, and , a local craft beer and wine shop, will bike over whatever you fancy. Just call ahead. Save dessert for the morning. Specifically, cherry scones and sugar cream pie from . Grab a window seat (there are only three tables), order a Metropolis coffee and your pastry of choice, and savor the goodness of pure butter and farm-fresh produce. Three words: Great Lake Pizza (1477 West Balmoral Ave.; +1773-334-9270). Two more: Long waits. Three more: Absolutely worth it. 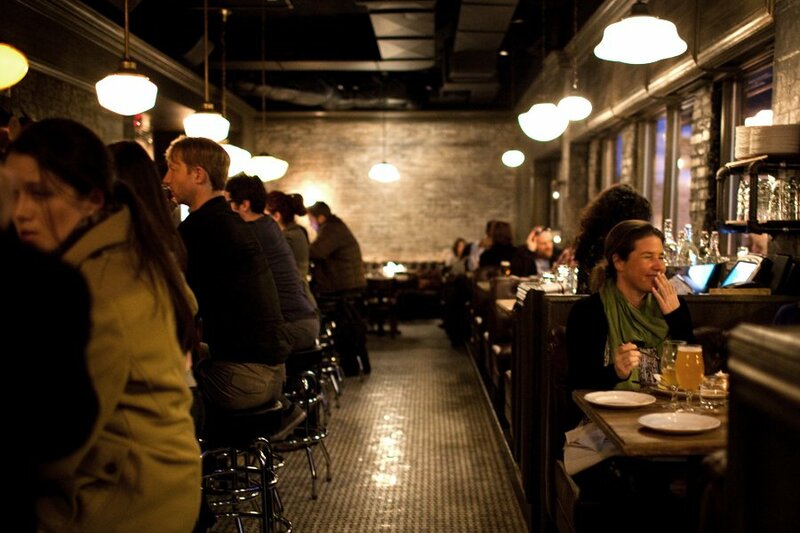 Grab a friend with wheels and hit up , preferably on a Friday or Saturday, when Doug serves his famous duck fat fries. The "encased meat emporium" ushered the strange game movement to the city years ago: alligator, venison, wild boar; homemade chutneys and tartars; tasty buns; fountain sodas. Brave the lines. Addictive soups and dumplings prevail at (Belly Shack's sister); chefs flock here for the pork belly ramen. In the actual square, you'll find (photo at left), the 13-year-old restaurant responsible for bringing farm-to-table fare to Chicago. After a recent renovation, the space retains its homey vibe, and the food has been taken up several notches — and it was great to begin with. Brunch is equally exceptional. I love the breakfast burrito and semolina griddle cakes. You may have heard of , but I'm mentioning it anyway. The six-room inn hosts musicians and travelers; the bar pours stiff cocktails; and the kitchen turns out incredibly composed, meat-heavy dishes. The vibe is easy, loud, and, on most days, plaid. The truth: I pretty much avoid the Mag Mile unless I'm going to the museum or to the . I'm a neighborhood person. That said, if you're there, you've got to eat at . Waits are heavy, and with good reason: The food is incredible. Allow me to sum it up: pork-fried almonds; salt-roasted beets with whipped goat cheese; crispy pig's ear; mortadella smear; pork sweetbreads a la plancha. There you have it. Hungry yet?